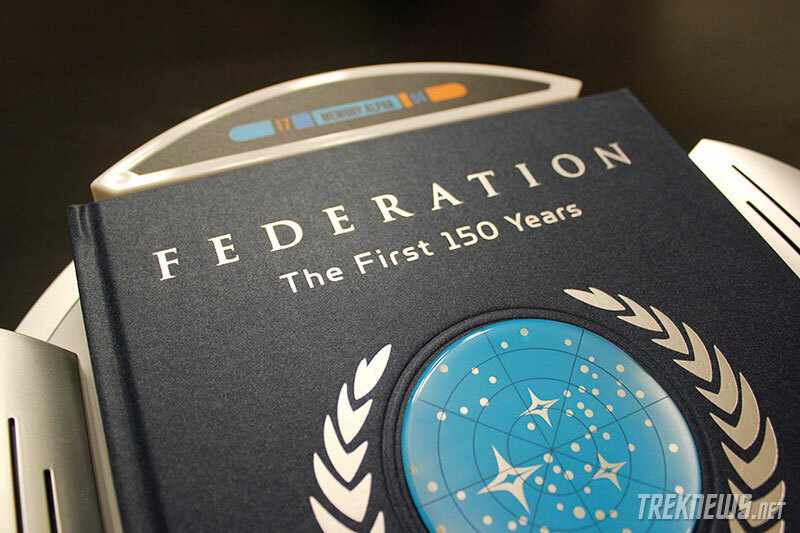 Late last year, the much anticipated “Star Trek Federation: The First 150 Years” was released. 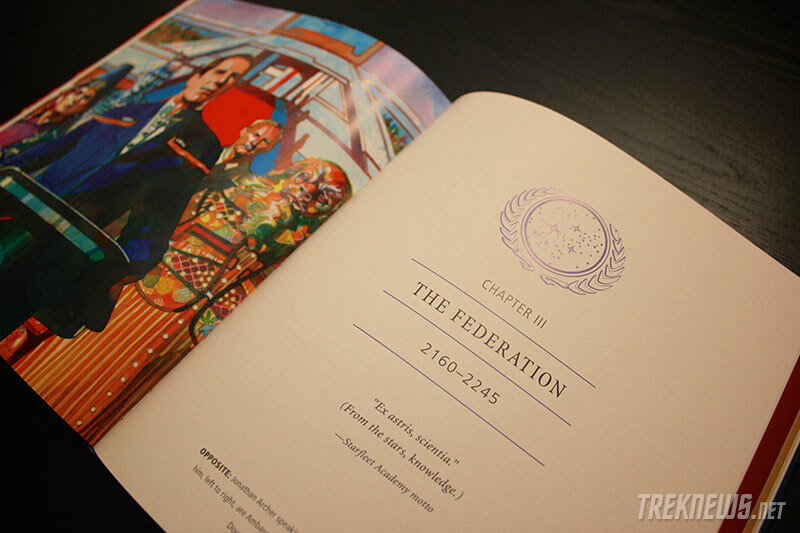 Written by David A. Goodman, the takes a deep delve into the fictitious future history of the Star Trek universe. Goodman’s credits include The Golden Girls (Co-Producer/Writer), Futurama (Co-Executive Producer/Writer), Family Guy (Co-Executive Producer/Executive Producer/Writer), Star Trek: Enterprise (Consulting Producer) and more. 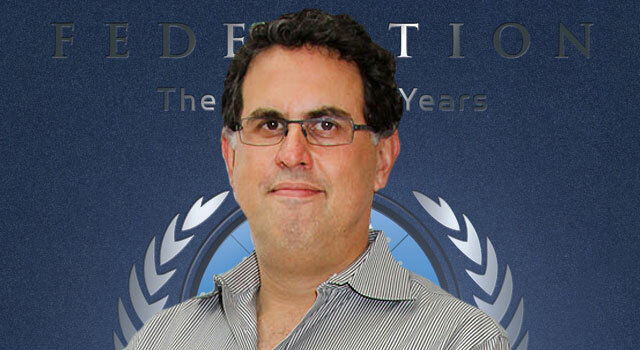 TrekNews.net recently sat down with him to discuss the book, his career, and what he thinks the future holds for the Star Trek franchise. For those who aren’t aware, what’s your history with the Star Trek franchise? Well, I’ve been a fan since I was eleven years old, went to my first convention at the age of 12. I’ve been a writer in television since 1988, mostly in comedy. 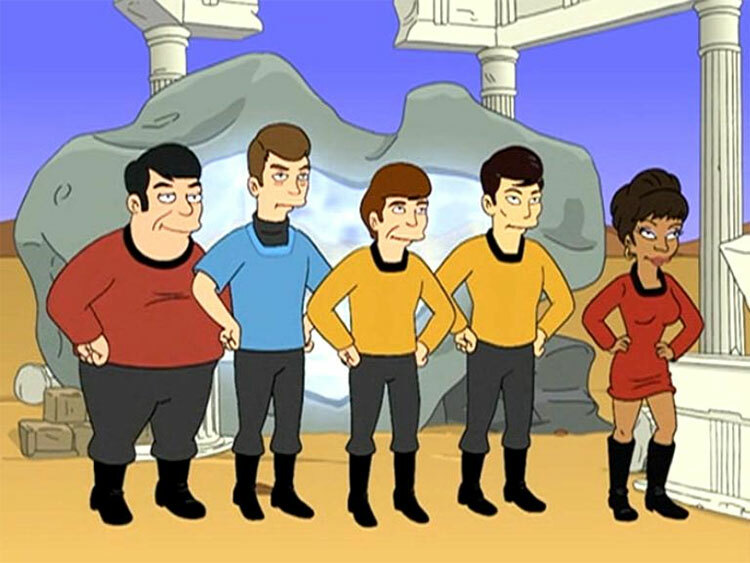 I wrote the Futurama episode “Where No Fan Has Gone Before,” which reunited most of the original series cast. From there, I went to Star Trek: Enterprise as a consulting producer/writer, and wrote four episodes while I was there. You wrote the Futurama episode “Where No Fan Has Gone Before” in 2002. As a fan of Star Trek, how did you approach writing that episode? In television, you generally work with groups of writers. In the case of that Futurama episode, I worked with the writers on that writing staff to work out the specifics of the story, and then I went off and wrote the script. I wanted the episode to have as many references to the original series as possible, but not so many that someone who didn’t know Star Trek couldn’t watch it. How did the job of writing and producing several episodes of Star Trek: Enterprise come about? I was out of work, Futurama had been cancelled, and I couldn’t find a job writing for a comedy. I had always wanted to write for Star Trek, so I started bugging my agent to get me a meeting. Brannon Braga had heard about my Futurama episode, and he and Rick Berman liked the idea of bringing a comedy writer onto Enterprise. I had a meeting with Brannon, where I parroted back to him all his quotes about Star Trek which I remembered from all the interviews I’d read of his over the years. He brought me in to meet with Rick Berman, and they hired me. Do you have a favorite episode of Enterprise? It’s egotistical to pick one I wrote, but I love North Star. I always loved those “alternate earth” episodes from the original series, and here we did one but it was updated. The director and cast all did amazing work on that one. Are you content with the way the series ended? How would have you ended the series differently? I would not have ended it. I wish it was still on. I miss having Star Trek on television and I thought Enterprise was heading in a great direction. With such a sizable project, writing the book must have been a daunting task. Where do you begin with a project that encapsulates 150 years of fictional future history? I started at the beginning, Cochrane meeting the Vulcans, and then tried to figure out what pieces of history had already been laid down between that event and the events of Broken Bow, the pilot of Enterprise. Then it became a matter of trying to make all the little things that had been mentioned seem organically connected, which also meant making up a lot of stuff to fill in the considerable blanks. Were you approached by CBS or was this project an idea you came up with? CBS approached me, it was their idea. There must have been some difficult situations where you needed to connect dots that may not have been connected in the past. What gave you the most trouble while writing the book? Well, certainly the Eugenics Wars/World War III, which I had to mention. There is NO consistency to the how or when of this cataclysmic event, so I had to make a lot of it up, using the little pieces that are mentioned. And the Xindi War/the Temporal Cold War were very difficult to portray because their backstories are so complicated, and, in my opinion, not very well thought out. I can criticize that because as a former member of the Enterprise writing staff it’s partially my fault. The Romulan War. It’s never been portrayed fully in any of the series or movies, and I really enjoyed laying it out on a large canvas. Who’s idea was it to include the unique pedestal the book comes with? CBS’s, but I love it, and it was my idea to get George Takei to record his message. The book includes some beautiful paintings which illustrate elements of what’s being discussed. Do you have a favorite? 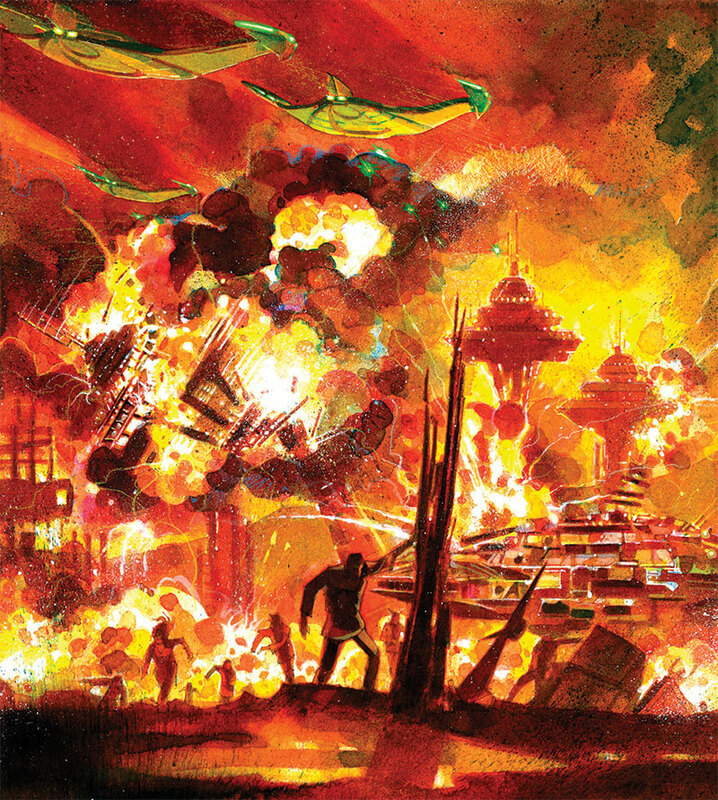 I love all the artwork, but the attack on Starbase 1 painting at the opening of Chapter 3 is a personal favorite. With the title including “The First 150 Years” are there plans for additional installments? After working on Enterprise and writing this book, you must undoubtedly feel a major connection with the franchise. 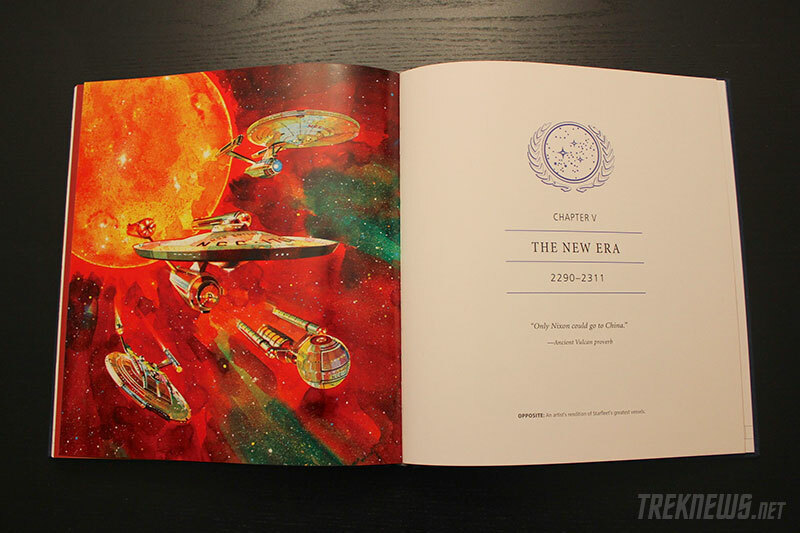 Where do you see Star Trek going in the next ten years? That’s a good question. I enjoyed JJ Abrams take, and I’m looking forward to see how he and the writers he works with expand on it. But I would also hope it returns to television in some form soon, as that’s the medium it was created for. And I’m an addict, and I’m missing my fix. Still want more? Check out a video preview of the book below. 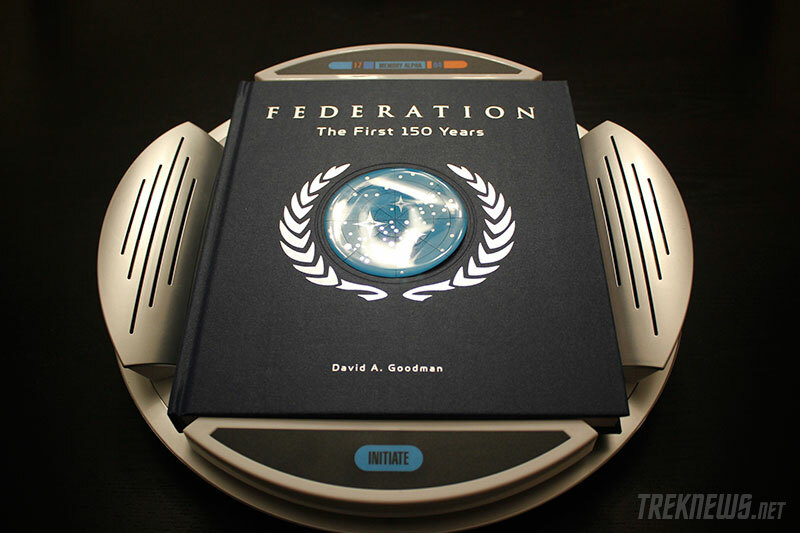 “Star Trek Federation: The First 150 Years” is available on Amazon.